If you don’t have ties to the healthcare world, all the terms and names can get confusing. Many people confuse strep infections with staph. However, these two conditions are very different and require a different approach to treatment. In either case, the key is not letting an infection go untreated. If you suspect you have an infection of any sort, Velocity Urgent Care is your one-stop solution for all your health needs. Understanding the difference between staph and strep can help you better identify what condition you may have, when to seek treatment, and how to avoid spreading it. What Is The Difference Between Strep And Staph? On a microscopic level, strep and staph are extremely different. Both are strains of bacteria that can cause serious illness if left unchecked. However, at a more meaningful level, they can be separated based on how they infect the human body. Strep is most commonly found in the mouth and the throat. Hence the relatively common condition strep throat. The infection is often accompanied by an extremely sore throat with white patches, difficulty swallowing, and a fever. Meanwhile, staph is a skin infection that is most often the result of surgery or an open wound. 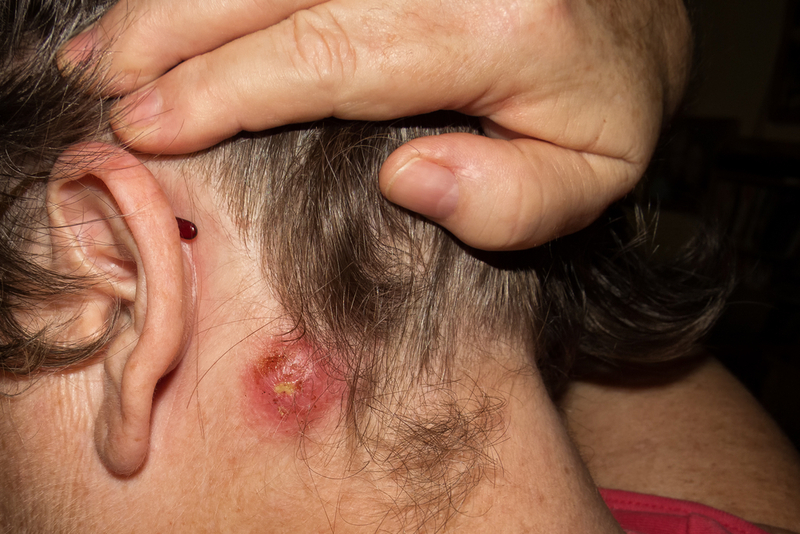 While staph is normally found on the skin, when it gets inside an exposed area, it can cause damage including pus and drainage, pain, and slowed healing. In severe cases, staph infections have resulted in complete amputation of a limb. How Are Staph And Strep Treated? Since both staph and strep are bacterial infections, they are treated with antibiotics. In most cases, a healthcare provider can prescribe a 7 to 10 day prescription for patients to take at home. However, the ability to easily treat these infections with antibiotics depends on early diagnosis and prescription. If an infection is allowed to fester without treatment, it will become more difficult (if not impossible) to treat. If you suspect you or a loved one has a bacterial infection, you should visit a healthcare clinic immediately to get a professional diagnosis and start the necessary treatment. What Happens If You Don’t Treat Staph And Strep? Thanks to modern medicine, treating these conditions can be accomplished easily. However, many people ignore the signs and symptoms of a staph or strep infection and don’t get treatment. This can have disastrous consequences. If either bacterium gets into the bloodstream, it has the potential to cause serious, even life-threatening damage. Staph can develop into a condition known as septic shock. This causes extremely low blood pressure and puts a person at high risk for fatality. Almost all cases end with a stay in the ICU for treatment. Strep throat, if it reaches the blood, can cause a host of problems as well. For one, rheumatic fever, a condition that causes inflammation throughout the body. It can also cause scarlet fever and kidney damage. If left untreated, this treatable infection can be life-threatening. By seeking treatment for a suspected staph or strep infection early, you make recovery easier and decrease the risk of dangerous complications. Velocity Urgent Care has everything you need to stop a bacterial infection in its tracks. Schedule an appointment online, check-in early, or walk-in at your convenience. Once you’re here, our team of caring physicians will diagnose you and write a prescription for the right treatment. Any of our clinics across Virginia are here and ready to help should you come down with a strep or staph infection. We’ll get you in and out quickly so you can start getting better.